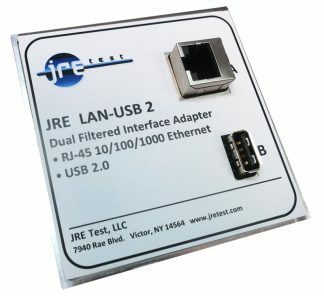 Simplify the connections between your device under test inside the RF shielded test enclosure and the outside world. The BOB-1 'Break Out Box' Filter consists of nine individual conductors with low pass filtering inside a machined aluminum housing which provides exceptional RF shielding. 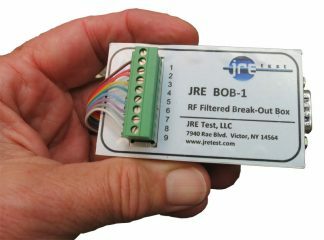 Each signal line is suitably filtered, allowing low frequency control signals, audio, DC power or other signals to easily pass across the RF test enclosure's shielded barrier. A handy 'plugable' screw terminal connector allows simple connection to any of the nine filtered signal lines. Signals above 10 MHz will be attenuated by 80 db, ensuring high RF isolation while still allowing your control, power or other signals to pass through unaffected. 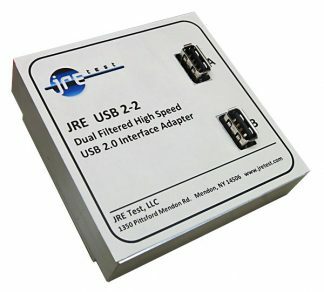 The BOB-1 interface includes a short DB-9 jumper cable which connects to a filtered DB-9 connector (included) on the I/O plate. 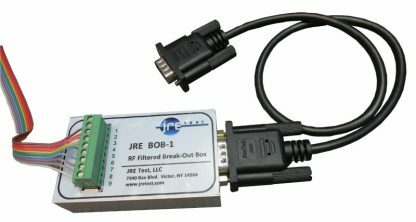 Inside the enclosure, the BOB-1 allows simple connections using the terminal strip, while outside the test enclosure, the common DB-9 connector is used for connection. The use of high performance inductors allows a current of up to 500 mA, and DC resistance on any signal line is below 1 ohm, maximum voltage is 50 VDC. 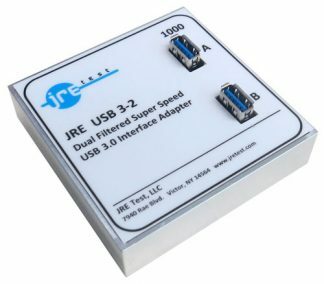 Dual Channel Ethernet filtered interface. 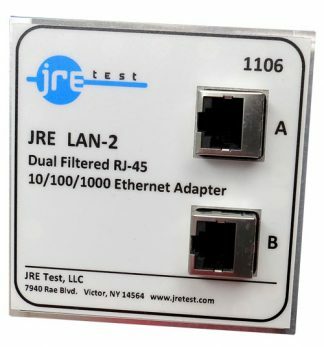 RJ-45 Ethernet 10/100/1000 passes Ethernet while rejecting Cellular, LTE, WiFi and other signals above 700 MHz.